Following his crash at Monza and subsequent hip and foot injury, John Hopkins is set to make a return to the World Superbike Championship at Miller Motorsports Park in America on 26th to 28th May. The Fixi Crescent Suzuki rider was forced to sit out of the Donington Park round and instead of riding went to see a top UK hip specialist to assess the damage. He then returned to America to see his own surgeon where he was given some positive news that no significant long term damage had occurred in the hip joint. Hopkins said: “I was so disappointed to miss Donington Park, where I’m sure I could have been in that crazy fight for the win! It’s been a really rough ride physically over recent times, and there were some real worries over the hip condition, but I know I have a lot more to give and that my luck has to change for the better. The team, my family and close friends have been really supportive and I just want to get back into what I know I can do best. 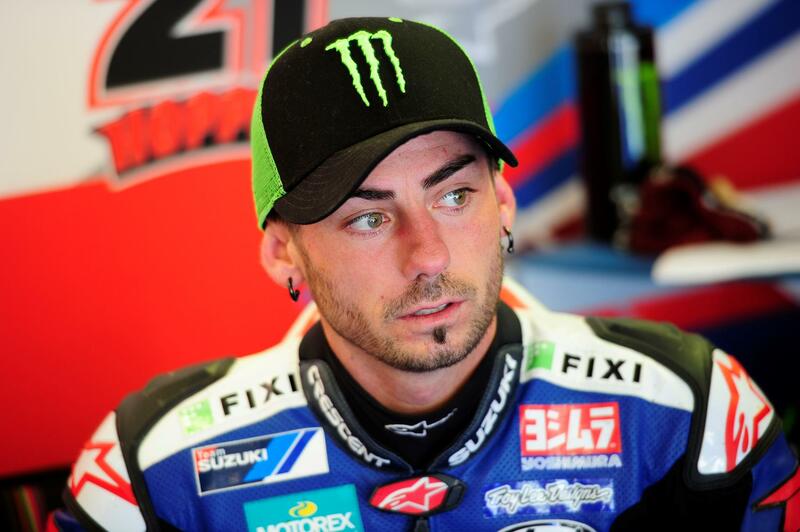 The timing for his return is perfect given the increased performance of the Fixi Crescent Suzuki at Donington where Leon Camier secured fourth place and finished under five seconds off the win. As the only American rider in WSB it’s also a real bonus for the American race that Hopkins is fit enough to ride.